For one week, starting on February 17th, the UK town of Kings Langley will change its name to King's Landing. You don't get much closer to the center of the Game of Thrones universe than King's Landing. Granted, it's only one city marking the map on a large continent in an even wider fantasy world, but you could make some pretty strong arguments that, as far as the story's concerned, everything leads back to King's Landing. That said, King's Landing will briefly become a real world location next month thanks to the United Kingdom village of Kings Langley. The town, which boasts a history dating back to before the 11th century, will temporarily change its name to King's Landing for one week starting on February 17th. 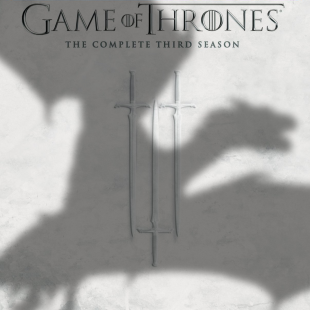 This, of course, is being done to celebrate the DVD release of Game of Thrones season 3, which is set to hit retailers the next day on February 18th. The move was apparently prompted by an executive producer for the TV series who heard the town's name called out while waiting for a train. Said executive subsequently contacted town officials to organize the name change, which the town hopes will inspire local businesses to host special events and celebrations. We will, of course, be eager to see if any of the local bridal shops decide to hold Red Wedding sales.